Did Russia plant fake Qatar story? 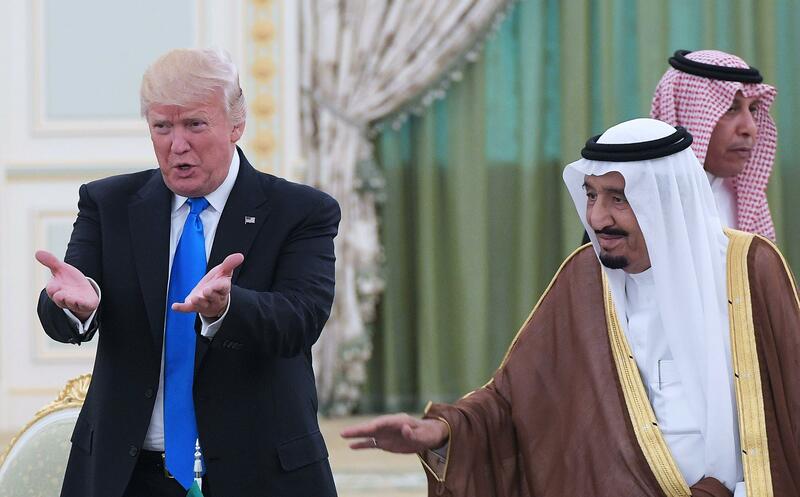 After Saudi Arabia along with three other Arab countries cut ties with Qatar over accusations that Qatar supports regional terror groups, President Trump held a call with Saudi King Salman bin Abdulaziz Al Saud. In a readout of the call, the White House said that the two leaders discussed the critical goals of preventing the financing of terrorist organizations and eliminating the promotion of extremism by any nation in the region. The statement went on to say that Mr. Trump "underscored that a united Gulf Cooperation Council is critical to defeating terrorism and promoting regional stability." The statement, which urges unity among the members of the Gulf Cooperation Council appears to walk back Mr. Trump's earlier comments on Twitter, in which he seemed to take credit for the isolation of Qatar. Qatar is a member of the Gulf Cooperation Council, a defense alliance between the Gulf states: Saudi Arabia, Bahrain, Kuwait, Oman, Qatar and UAE. Mr. Trump had said on Twitter that during his trip to the Middle East, he warned about funding "radical ideology" and leaders there had "pointed to Qatar." The call also comes amid reports that Russian hackers were suspected of interfering with a news site in Qatar and may have put out fake information that helped spark the diplomatic crisis in the Gulf, CBS News has learned. The false story released via a Qatari site is being blamed as a catalyst for the current regional tensions, which have been long-simmering but recently spiked after Mr. Trump's visit, CBS News' Margaret Brennan reported. The FBI and British authorities are currently investigating the alleged hack and results could come as soon as this week. On Wednesday, Russia dismissed the allegations. "Whatever happens it is hackers. It's a stale claim and as ever there is zero evidence, and conclusions are drawn before the incident is even investigated," a Kremlin adviser on cybersecurity, Andrei Krutskikh, told the Interfax news agency.